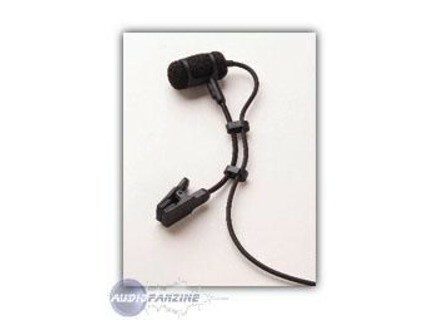 PRO 35x, Headset & Lavalier Microphone from Audio-Technica. I use 4 on tour with a group (2 out of a clarinet and soprano sax on 2). 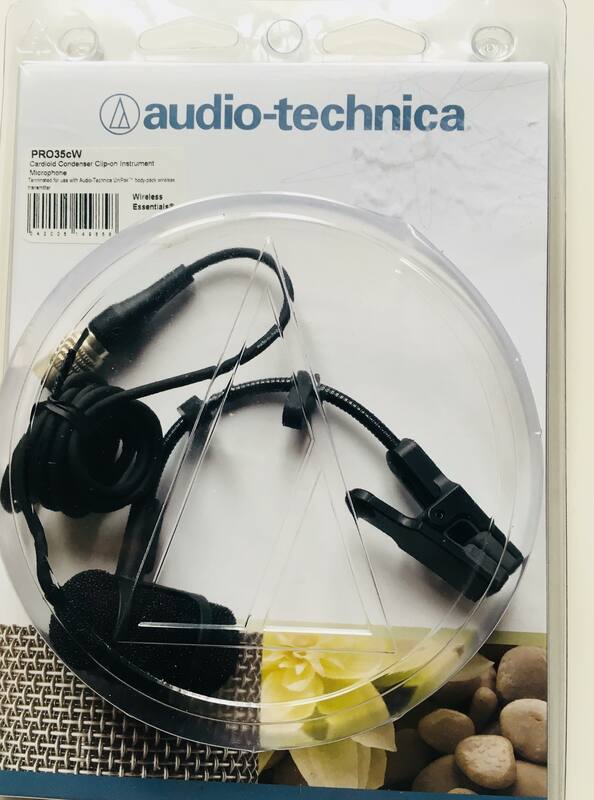 The Audio-Technica having always looks good (especially atm35, PRO35 identical in appearance but different capsule), and our budget is itty bitty, the choice was simple! No choice in this price makes it, without falling into the sub-brand Chinese ... The result is much better than I expected: it is fairly mild and not screaming like the eternal 416/419 akg we also use (bass clarinet and accordion), and that cost much more. No feedback problems, and icing on the cake, they age very well at the finish (including cables that do not twist, which is common to see such products akg, they still ...), no false contacts, no broken clips etc.. The preamp is very compact (housed in an XLR) and the cable or too short or too long (not like the atm35, which can almost be wired to the control of the plate face without using the multicore!). Highly recommended for amateur use pro but budget! I use it for 6 months, bought used. Practice I used to register my gibson archtop. I did not compare other microcravatte but this price there is no comparison. 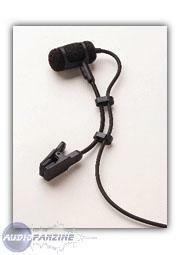 A good microphone is essential prampli (as with all mircos!). I recommend it for the price quality ratio.